The mission of FIT is to meet the recruitment needs of industry in the area of IT, through providing training, support and career opportunities for unemployed people, so that they can achieve their true potential and contribute to the Irish economy. FIT promotes the vision of an inclusive Smart Economy by creating a fast track to marketable technical skills for those at risk of unemployment long term. It is the primary Irish industry skills development initiative facilitating collaboration with government, education and training providers and disadvantaged communities to enable greater access to employment for marginalised job seekers. The core funding for FIT is provided by the Irish government through the national training agency and industry donations, providing senior business leaders from leading ICT companies to serve as board members, donating cash and software and providing technical expertise to support the development of market-led curricula. 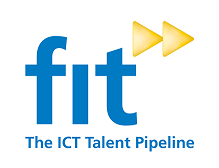 FIT employs experts in labour market activation, training, technology, research, pedagogy and EU project management and currently has 20 staff working in centres in Dublin, Cork and Belfast. The FIT Initiative targets job seekers defined as: individuals on the live register, young early school-leavers, lone-parents, individuals on disability payments, individuals with low or no qualifications and other job seekers experiencing long-term unemployment and or an intermittent work history. FIT coordinates the training of about 5,000 people each year of which 2,500 are gaining ICT skills in demand by employers and 2,500 are gaining basic digital skills.